Hello everyone! 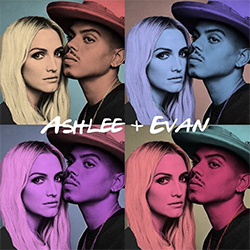 Yesterday (January 12), Ashlee Simpson Ross and Evan Ross were in Chicago to give a concert at Lincoln Hall. During the show, Evan said that their new snog ‘Phases’ will be released on Valentine’s Day (Many thanks to @Jmendoza1193 for the info). Find the pictures of the Meet and Greet on the gallery and videos of the show below. You will also find the official pictures of Nashville’s show. Love is a part of me, love is the heart of me. Nah.. Rashads A New, New Man 😂 Finish The #ATL Quote !!! Nostalgic night seeing @ashleesimpsonross live. And she was sweet enough to say hi after!